Put simply, a phishing scam is an attempt by a scammer to trick a victim into divulging sensitive information. While these scams seem simple and easy to thwart, they are actually the top cause of information security breaches and identify theft crimes. Due to the nefarious nature of these attacks, even normally cautious individuals can fall prey to phishing attempts. As Internet security awareness has increased, phishing scams have gotten more and more complex. Often, it can be nearly impossible to tell the difference between a scam email and a valid email from a bank or other official company at first glance. To add to the confusion, phishing emails often appear to be sent from real organizations, and they include real company logos and website links. Not only do these fraudulent emails often appear official, they also urge the victim to take immediate action. The attackers make the victim believe they must react immediately in hopes that the victim will divulge sensitive information before they become suspicious. It can be hard to tell a phishing email from a valid one at first glance, but there are several red flags that can reveal a scam. The best way to avoid phishing scams is to simply avoid clicking on links sent through email, and always verify the identity of financial institutions before divulging any sensitive information. For example, when receiving an email that comes from a bank, do not click any links in the email to log into the banking website. Instead, type the web address of the bank into the web browser manually. This simple action will thwart the vast majority of phishing attempts. Additionally, if an email seems suspicious, call the company in question directly at their official phone number to inquire about your account. Do not use any phone numbers included in a suspicious email, and do not click on any of the contents of the email either. If you believe you have divulged sensitive financial or account information to a scammer, contact your financial institution immediately. If you have divulged account information for a website, such as eBay.com, contact the site immediately. Once you have notified the company in question that your information has been compromised, they can freeze accounts and reset your passwords to mitigate the damage done by the scammer. 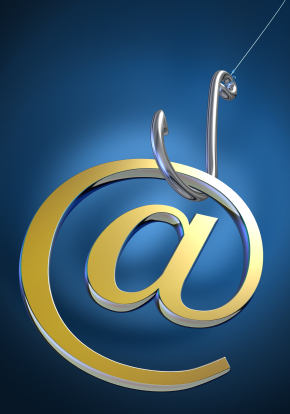 Acting quickly is the key to reducing the amount of damage done by a phishing attack. Even if it turns out to be a false alarm, it is always better to err on the side of caution. Resources including identitytheft.org and antiphishing.org contain comprehensive resources that can guide you through recovering from a phishing attack.